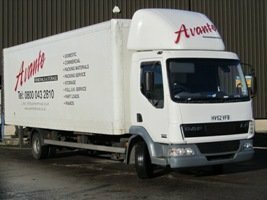 Avante Removals & Storage provide a professional service for customers in and around the Sheffield area, and have been since 2003. Full packing & fragiles packing services, bespoke cases for art-work, crate hire, piano moves, storage locally (self store or warehouse container storage) or at locations throughout the UK with our partners at Big Yellow Storage & free loan of tailored furniture covers. All our vehicles carry specialist carpet protection covers, tool kits, professional quality trollys and barrows, industry standard furniture blankets for the protection of your furnishings during the move and a minimum of 2 professional staff on each move. Our vehicles are dedicated furniture transport vehicles, not used for rubbish clearance or similar and are specialist low floor vans, designed for the purpose of transporting furniture, fitted out with tie rails and non-slip flooring. 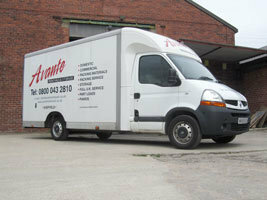 Avante Removals delivered our goods to Hebden Bridge from Johannesburg, South Africa. They were very helpful & cheerful even arranging the free collection of removal debris. If anyone needs any of the services, this company supplies, please use them. Excellent, efficient and a very friendly service from start to finish. My things are very precious to me and this company treated them as such and gave excellent advice. Our move was complex as we were moving from Switzerland to the UK and also needed storage for three months. The import/export rules in Switzerland are very strict and heavy fines can be imposed for non-compliance. Tommy arranged everything for us - the pick up was prompt and went smoothly, the goods stored at very reasonable rates and subsequently delivered to us in perfect condition. Not one item was damaged. Tommy employs efficient and friendly staff who were extremely careful and also very helpful in putting the items in exactly the right place. I have no hesitation in recommending Avante to anyone needing to move goods, large or small and am sure that all will be done with a maximum of efficiency and a minimum of fuss. Thanks you Tommy, Brian and Simon. 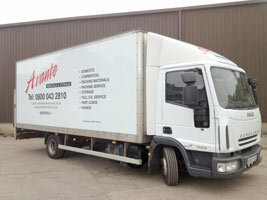 Used Avante Removals during December for our local house move. The team worked very well and I certainly wouldn't hesitate to use them again or recommend to friends. The team sent to carry out our removal Brian & Simon, were the hardest working men we could have hoped for. Nothing was too much trouble and they made our moving day fun! I'm so glad we chose Avante Removals and will recommend them to anyone that asks. Courteous and efficient: friendly and punctual: the team collected a wide range of items from London and delivered them to two locations in Sheffield. A number of the items were exceptionally heavy but this was regarded with good humour together with impressive strength. 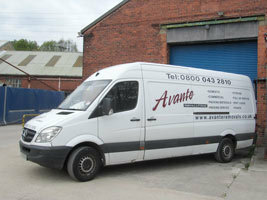 I have engaged many removal teams in the past and Avante Removals tops the lot. Thank you and we'll use you again if we need anything moved. First class service! Hi Ray, thanks for yourlovely feedback, Every move we do is individual and some are more engaging than others! It was a pleasure to collect your goods from London and deliver to you and your sister in Sheffield. We do hope you make good use of the items and would be pleased to hear from you if you require us again in the future. Courteous and efficient, friendly and punctual. The team collected a wide range of items from London and delivered to two locations in Sheffield. A number of the items were exceptionally heavy but this was regarded with good humour together with impressive strength. I have engaged many removal teams in the past but Avante tops the lot. Thank you and we will use you again if we require anything moving. Despite awful weather, Brian, Simon and Martin worked really hard all day. They made the experience a good one, no damage at all and covers used on all our furnishings. They also provided short term storage for our garden goods. We would definitely recommend to others. Hi Tracy, Thanks for your feedback. We are very pleased you chose us afetr having quotes from your previous moving company that didn't suit your expectations. We strive to provide a fair priced moving service to all our customers, new and old, and always work hard to ensure the receive our best service despite the weather and other circumstances. We all hope you are happy in your new home in Holmfirth and hope you will contact us if needed in the future. Hi Zoe, Thanks for the fantastic review, it was a pleasure to move you and Jonny from Lytham to Sheffield. I'm glad you found our team helpful and reassuring after your poor previous experience with a different company, we always work hard to ensure our customers feel we have taken the burden off them as much as possible. Feel free to call us when you are ready to have your goods re-delivered from Big Yellow Storage, or if you wish to move home again. We all hope you are very happy in your new home in Yorkshire! Thomas. Hi Jon, Thank you for taking the time to post your review of our service. We are glad you were pleased with the way the move went, and that Sam is happy in his new home in Stowmarket. Doing what we can to offer a fully rounded service makes us one of the most popular removal companies in the area, and trading for over 15 years with the same owners as when we started shows we really do care about our customers and the services we can offer. With such a large choice of potential removers, we have to keep our fingers on the pulse and your kind words show we are doing just that. Thomas.